Last week I detailed how I asked for my recommendations(and was thankfully successful). Being a bit of a “planner,” I wanted to make sure that I reduced the stress of having to create the recommendations while at the same ensure that they get completed in a timely manner. 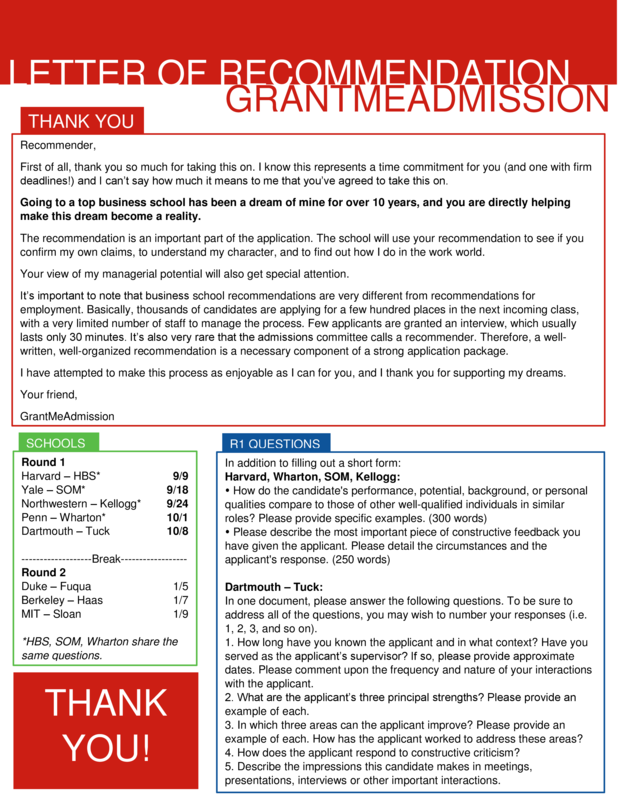 Using a variety of inspiration and input (a lot from gmatclub’s 2014 MBA Guide), I created my “Recommendation Package,” that I attached to my personal emails to my recommenders. This package COMPLEMENTS a previous in-person meeting, NOT REPLACES. Recommendations . . . and Work. I love when you share stuff like this! Clipped and stored! Good to know and thank you for the feedback! I will start trying to throw more stuff together after my GMAT! The formatting is awesome! I’m sure it makes your recommenders want to read every word! How’d you put this together? With the magic of Microsoft Word! Nicely Done!! I have made one with power-point. Still, this one looks good. You can also provide resume attached in the same document. If recommender wants to have a look!! 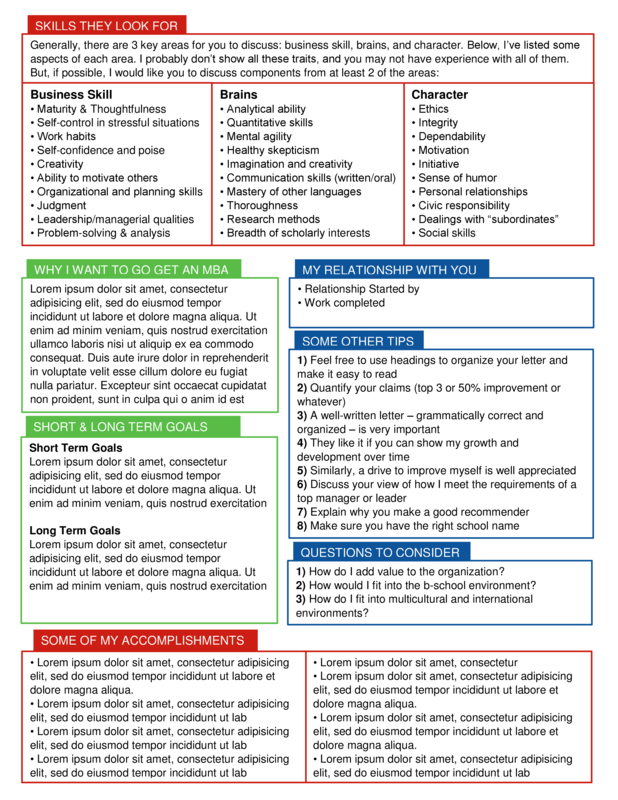 +Weaknesses and how you are working on improving those weaknesses. It didn’t take too long… Maybe a couple of hours… One more day!!! It looks amazing, easy to read and full of information. Great stuff! I kinda “borrowed” that to show it to my recommender.. So thanks! Great information in here. After I get through the GMAT my biggest worry for sure is the recommendation… You’ve done a good job!